Well Slams, we finally did it. We made it through 2014! Start out this year by reading our the EPIC and AWE INSPIRING publication of Sal's Realm - the Santafish Monthly! This year's Christmas events in both games were fairly large and expansive. RuneScape 3's Christmas event consisted of many things: a new snowman boss which players can kill with snowballs, two new tradeable rares, and a snowboard ramp (which trains the agility skill). 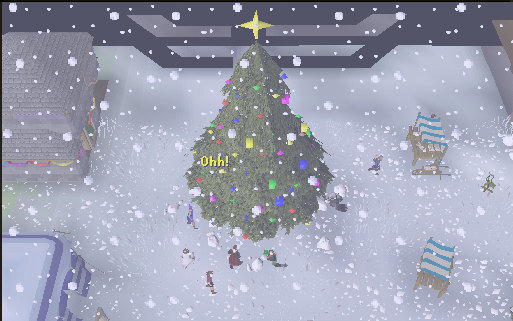 Oldschool RuneScape saw the re-release of the 2005 Christmas event. Several things were changed, such as a new look for the bearded stranger (who looks more like Santa Claus), snow in Varrock center instead of just a tree, and presents under the Christmas tree, which when opened will give you tradeable rares like partyhats (which are cheaper in Old School RuneScape). Due to the Christmas events it was somewhat quiet in other parts of the updated game. The Dominion Tower was updated to accommodate newer bosses. Bosses such as Vanstrom Klause, Hreidmar and Grissom, and Yelps the goblin were added. A new rumble fight mode has been introduced alongside these which allows multiple players to fight multiple bosses. Tirannwn tasks were added, which encompass all of the Elf Lands. The reward item is a special quiver, which gives various bonuses when equipped such as extra damage to dark beasts. Not everybody is happy with these tasks. The rewards are mediocre after medium, and the quiver ironically does not hold arrows or bolts, meaning it cannot be used in conjunction with the ranged style. Furthermore, it logically makes no sense that elves would have a quiver to hold arrows, considering they use crystal bows which require no ammunition. But I mean hey, a quiver, cool! In Old School RuneScape, a trading post was added. This is similar to the Grand Exchange but there is no automatic trading (you have to meet the person in-game and trade items). 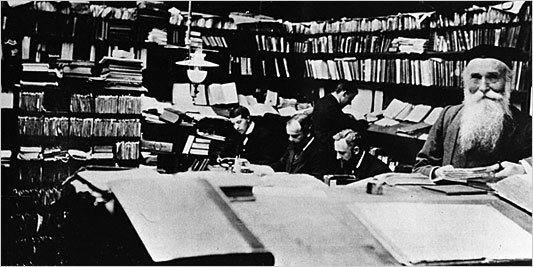 Reviews have been mixed, with many people upset that there is no automatic trading mechanism in place. On January 4th, RuneScape turns 14. This would mean that RuneScape, if a person, would be in high school this year or entering high school next year, which can be interesting to think about (time to beat up RuneScape every freshman friday!). RuneScape also would be old enough to witness the Twin Towers still standing in New York City, pre-Euro Europe, and the Clinton presidency. It is impressive a game created by a few brothers out of their parents' house has lasted so long. This month we decided to show you the evolution of RuneScape graphically through pictures. We set out a character with the same outfit and took pictures of the character in all three RuneScape versions, standing in the same exact place. Some areas have changed signifcantly, others not so much. These pictures are not perfect. Zooming in/out in RuneScape Classic and RuneScape 2 was impossible, so we went with the default settings for each picture. Released very early in RuneScape's history (a few weeks into the game's release), Al Kharid was the original desert town. It remained fairly stagnant until a massive graphical update at the end of 2012. This massive city is ruled by a central marketplace, seen below. It has remained graphically similar, although a rework has been discussed. This location was chosen for it's large amount of water. It is interesting to see how water changed throughout the years. The Heroes' Guild is an interesting case. In RuneScape Classic, it was the edge of the world as Burthorpe had yet to be released. You can see a bit of darkness which indicates this in the first picture. After the release of RuneScape 2, Burthorpe was released, making it no longer the awkward edge of the world. In 2012, Burthorpe and Taverly underwent a massive graphical/material change. Mainly used as the start point for Imp Catcher and Rune Mysteries, the Wizards' Tower eventually became home to the Runecrafting Guild and the Runespan. It was graphically rehauled in 2012. Check out Supersal69's adventures to Runefest here! She has uploaded her pictures from the event for your viewing. The word "however" is an adverb, not a conjunction. Because we are more likely to acquire vocabulary from general reading than from dictionaries and other lexicons (unless you work with professional English Language Super Wizard and possible Dr. Seuss character inspiration Sir James A. Murray or something), it's easy to fall victim to the subconscious proposition that "however" is interchangeable with "but." However, this is not so. Although the part of speech in the red box above, as well as the arrow pointing to the red box which is also encased in a red box, is the center of attention, the example sentence that Mr. Oxford Dictionary provides us with is also quite helpful. "People tend to put on weight in middle age. However, gaining weight is not inevitable." 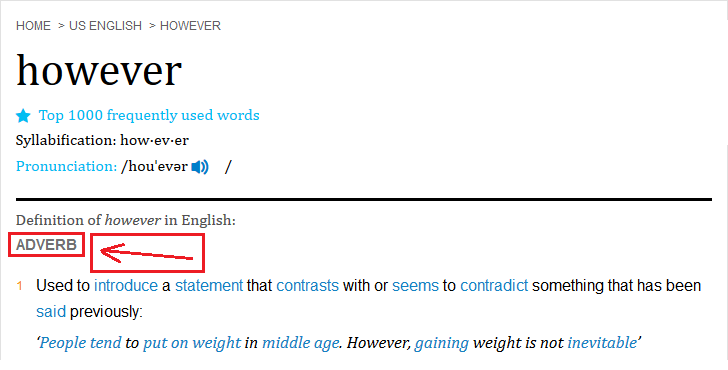 The above sentence is NOT: "People tend to put on weight in middle age, however gaining weight is not inevitable." This is because, if I may return to the basic principles of compound sentences, two clauses must be connected with a conjunction. "People tend to put on weight," and, "Gaining weight is not inevitable," could be their own sentences, so we have to connect them with a conjunction such as "but." "However," however, may be used merely as an adverb, as this very sentence indicates. Not only is the very incorrectness of the incorrect usage of "however" problematic, but it is this separate definition that often intensifies the ambiguity. Also, be sure not only to use "however" as an adverb as I mentioned, but to appropriately append commas when used in its sense of contradiction (that is, the meaning that people often associate with "but"). This will serve to distinguish it from the meaning exhibited in the previous image. ", but" = "; however,"
Thus, "The man incorrectly used the word, but I punched him in the face." becomes "The man incorrectly used the word; however, I punched him in the face." In RuneScape classic, aprons were worn via the neck slot. This actually makes much more sense to how it is worn in other game versions (the chest slot). Why this change was made is unclear. During Monkey Madness, if you give the monkey in your backpack a banana there is a small chance you will be given a medium clue scroll. Although Morvran the Elven Slayer Master in Prifddinas and the Head Mourner met in the Plague's End quest appear to be new characters, they are not. They are encountered during Regicide, appearing as Morvran and Essyllt. They kill Idris, the first elf you meet after the exiting the Underground Pass (he attempts to tell you of Lord Iowerth's plan). In Old School RuneScape, if you use a gold ring on the volcanic forge in the wilderness volcano a goblin will spawn saying, "My Precious!!! NOOOOOOO!!!" (This is a reference to Lord of the Rings). On December 20th, our 11th annual Christmas Party was held! The party held a similar format to recent Christmas Parties, with first a freeplay portion and then a members only portion. First, everyone gathered at Mudksipper's point and tried to teach Yuanrang how to play RuneScape again (we settled with getting him to hit the Legacy Mode button). From there, we all marched to the Clan Wars above Falador to participate in some fun wars. The two teams, Team Sal and Squirtle Squad, heroically sparred, but Squirtle Squad won the matchup. Next, everyone hopped over to world 71 to play Castle Wars. The event ended with a drop party, where around 80 million gold worth of items was dropped. Thanks to everyone for coming! What's an owl's favorite color? None. Owls are color blind. Happy New Year Sal's Realm! Good luck with 2015!